Dr. Sabrina Kashyap, BSc, DDS. Dr. Sabrina Kashyap enjoys working with kids and adults in all aspects of general dentistry from surgery to cosmetics. In her hometown of London, Ontario she was awarded her Bachelor of Science from The University of Western Ontario. She then moved to the United States where she earned her Doctor of Dental Surgery from Case Western Reserve University in Cleveland, Ohio. Following this achievement she attended The University of Michigan in Ann Arbor, MI, and was awarded with a One-Year Advanced Training in General Dentistry. She is a member of the Ontario Dental Association and The Academy of General Dentistry and is a Clinical Instructor for the dental students at The University of Toronto. She is dedicated to continuing education and attended courses regularly. Dr. Sabrina values keeping fit and enjoys playing tennis and running - both of which balance her other interests of cake decorating and dining out. She looks forward to meeting you and to helping you achieve your optimal oral health and improve your overall body wellness! Dr. Suraj Kashyap, BScH, DMD. Dr. Suraj Kashyap is the latest addition to our office. Although Dr. Suraj has lived in many different cities, he has returned back to the city he was born in! Throughout his schooling he has always been passionate about providing dental care to those communities in need. While in Toronto, he worked with the University of Toronto School of Dentistry and the Toronto Public Health Unit to improve the services and accessibility of dental care to those in need. In Cleveland, he promoted oral health to young kids while he worked with Cleveland public schools. 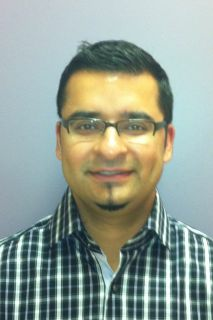 Dr. Suraj offers all dental services from cosmetics to surgery, and is trained in Invisalign! In his free time, Dr. Suraj enjoys watching all sports, playing the drums, and listening to music!